The Commonwealth Bank of Australia has overtaken ANZ to become the country’s strongest banking brand, according to the Brand Finance annual study. 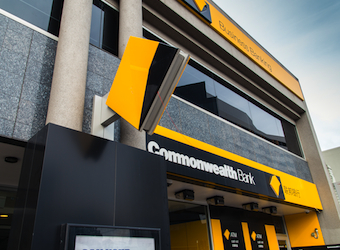 The ‘Banking 500’ study conducted by brand valuation and strategy consultancy Brand Finance shows that the Commonwealth Bank has knocked ANZ off its two-year period at the top of the local list. In the past year, Commonwealth Bank of Australia’s value rose 37% to $9.2 billion (US$7.5 billion). Commonwealth Bank is now also Australia’s strongest bank, having had its brand rating upgraded to AAA-. In addition to topping the Australian list, Commonwealth Bank was among the top 10 in the world for value added. St George grew by 20% to $2.4 billion (US$2 billion), bringing it into the global top 100. “Since being bought by Westpac in 2008, the promise to maintain the St George brand identity has been upheld and seemingly vindicated, as brand value continues to grow,” Brand Finance says. ANZ held the position of Australia’s top banking brand for the previous two years. Coming in at number two this year, ANZ’s brand ranking grew 8% and to $8.1 billion (US$6.7 billion). MLC, Yorkshire Bank and Clydesdale Bank were the only three of the 16 Australian banks that fell in brand value, each dropping by 13% to 14%. Australia’s top seven banks all improved their positions in the Brand Finance Banking 500 table. Australia’s bank brands grew collectively by 14%, with the strong growth leading the country to overtake Germany in the global rankings.